Achievers Builders, established in the year 1999 has emerged as a name synonymous with all-round excellence in the real estate market. The company, motivated by dynamism and vitality, has played a crucial role in the development of many real estate projects in India. Achievers Builders has been into development of various residential as well as commercial projects in Faridabad, Haryana which is part of Delhi-NCR. Every member of Achievers Builders with their decades of years of experience in real estate has been working to deliver high-quality projects in Faridabad. Achievers Builders has been credited with development of many residential as well as commercial projects including Achievers Expandable Villa, Achievers State Enclave, Center Point and Achievers Gardenia in Faridabad which is their most well-known project. Achievers Builders has been founded on firm values of wanting to create maximum value for the customer in an honest and transparent manner. Their commitment towards realizing client expectations through customized and simplified concrete solutions has led to Achievers Builders becoming one of the most acclaimed entities in the Indian real estate market. Achievers Builders has also taken into consideration the fact that India’s real estate economy has a global presence and offers relevant and customized support for NRIs who wish to purchase, sell or lease out real estate in India. 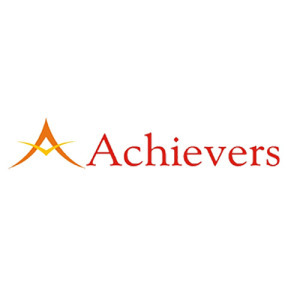 Achievers Builders is promoted by Mr. JL Bhatia and Mr. Vijay Bhardwaj. Achievers Builders Director believes in delivering optimum value for customers as well as business partners, delivering projects on time, creating new benchmarks with customer satisfaction and taking human potential to new heights in the form of concrete marvels.